ArtRole Chief Executive Adalet R. Garmiany was invited as a Keynote Speaker, for Goethe-Institut “MOOC Managing the Arts in 2016” moderated by Chris Dercon, Director of Tate Modern Gallery London. An online course for Cultural Managers worldwide. In 2015 more than 17,000 people from more than 170 countries participated. Adalet talked about Culture Institutions in Transitions specially in conflict zone, referring to our current conflict ISIS. 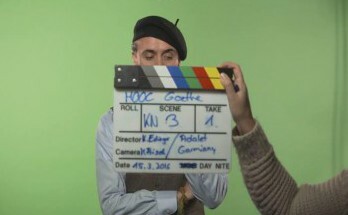 Arts managers and students of arts management from around the globe were invited to join this free online…https://www.goethe.de/en/uun/auf/dsk/mooc.html?wt_sc=mooc. The online course “Managing the Arts” ran for the first time from 19 February to 28 May, 2015. Arts managers and students of arts management from around the globe were invited to join this free online course. “Managing the Arts” emphasized peer-to-peer and mentored project-based learning by using a case-study method. The course was designed by Goethe-Institut in cooperation with Leuphana University. In six assignment cycles, the participants learned about theoretical foundations of cultural management and how to apply marketing strategies to four existing pre-selected art institutions and their real-life approaches and challenges.